(She asks tentatively, trying to veil her excitement). 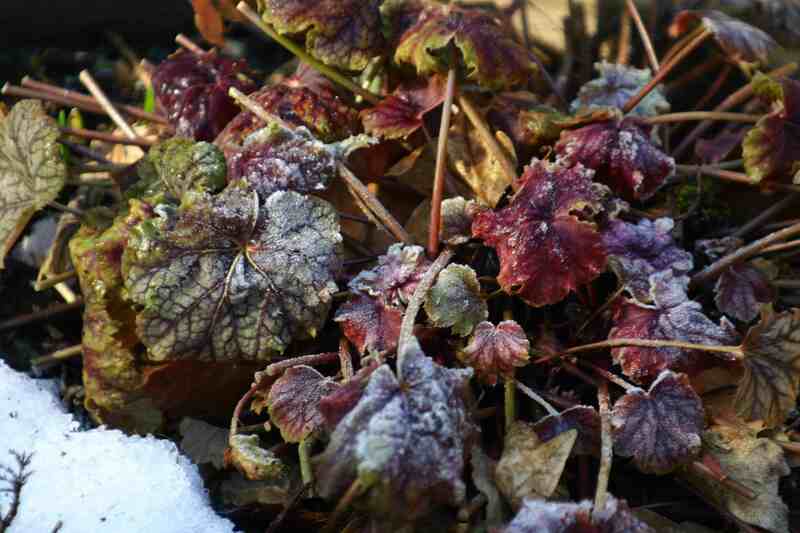 The heuchera in a pot near the front door has also stood up to the frost well. Well, they’re a bit late this year owing to the big freeze and all the snow we’ve had. But they are now making up for lost time… you can almost see them growing! The following poem is as dramatic and meaningful to me as the sight of the first little white buds struggling impatiently towards the light. Spring is finally within sight! We have survived the winter once again! 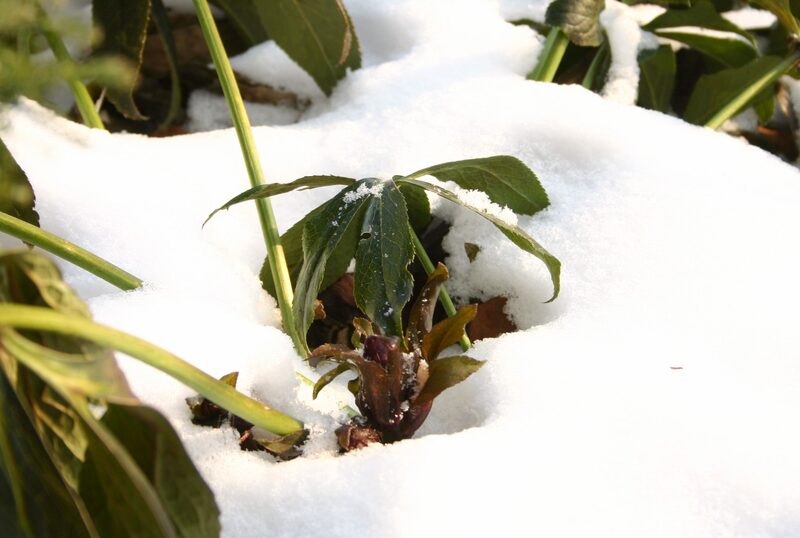 This entry was posted in Nature, Plants, Words and tagged News, Plants, Poems, Postaday, Winter. Bookmark the permalink. Yes Yes Yes!!! On Friday our temperature is suppose to hit 61 degrees F. We are being told we are 3 weeks ahead of last year. I hope so! New fat buds make me so happy! 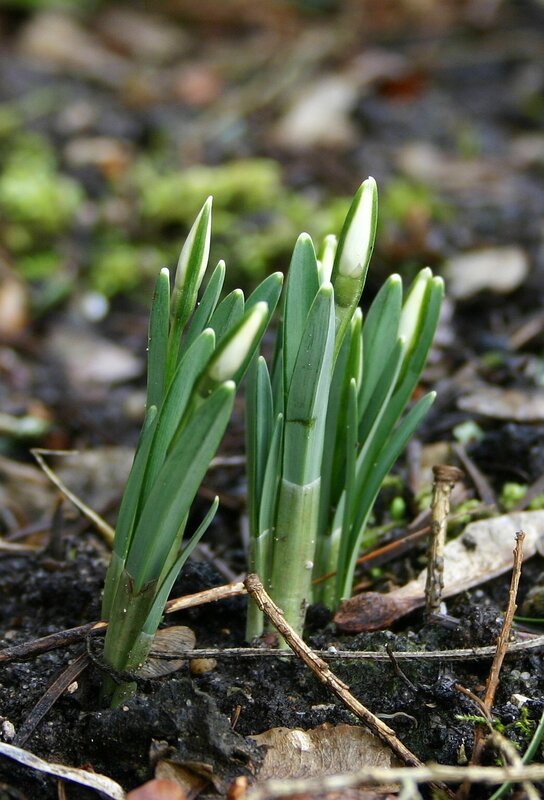 We have daffodils and tulips pushing up, but not open yet. I saw a gorgeous winterhazel just breaking bud this week, we hope the cold is gone for good too. You’re welcome! It must be strange to have no winter after living in New England!